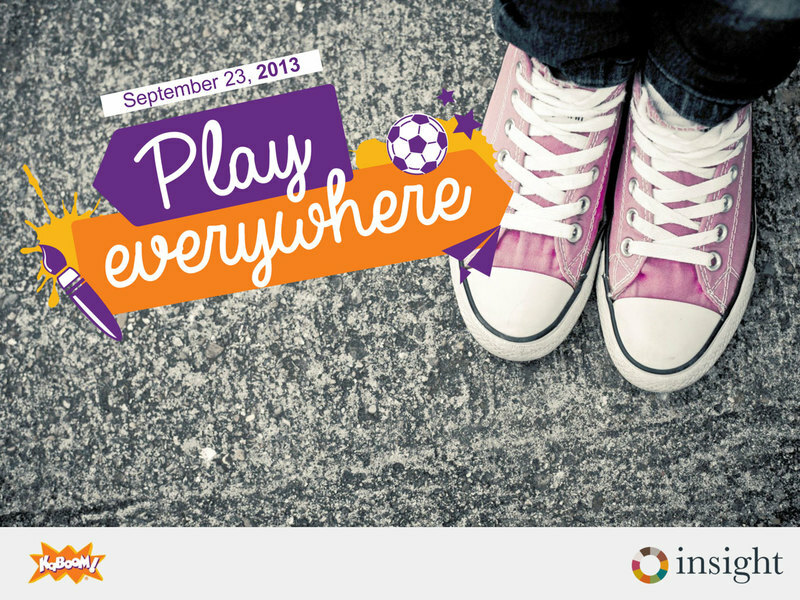 We believe that when kids play, we all win. Leveraging our own play infrastructure expertise and collaborations with cities and partners, we've developed a number of successful approaches to creating kid-friendly, playful cities. 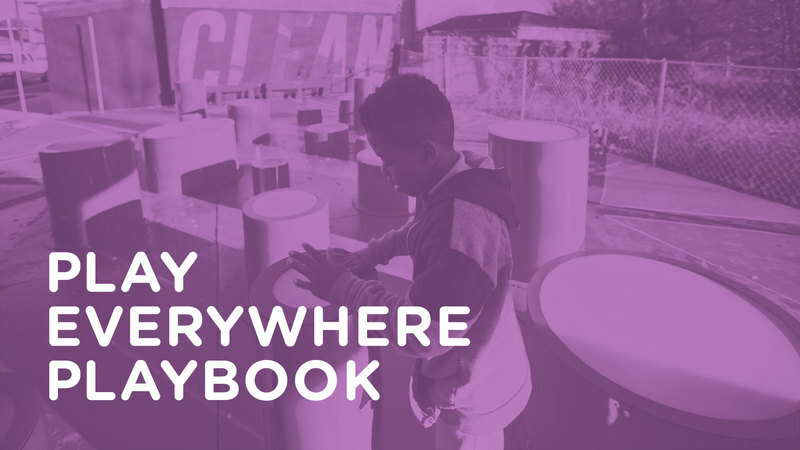 With input and insight from city and community leaders, health experts, urban planners and affected families, we've created this toolkit – the Play Everywhere Playbook. 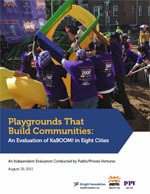 New research from KaBOOM! and behavioral economics research firm ideas42 shows that cities must become more playable to ensure that all kids across every socio-economic background are getting the balanced and active play they need to thrive. 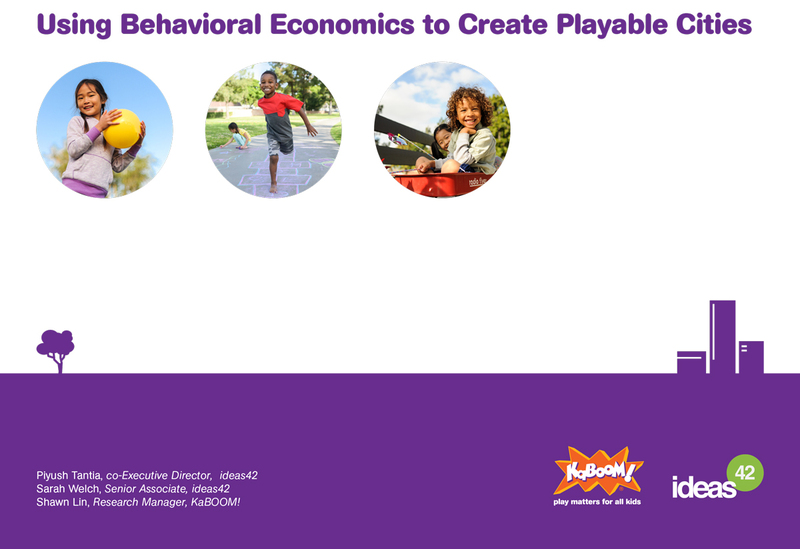 The resulting white paper, Using Behavioral Economics to Create Playable Cities, identifies the behavioral bottlenecks that prevent kids from getting balanced and active play and three solutions cities can take to holistically address them. Whether building the skills children need to succeed in the 21st century or simply giving children joy, play is an essential part of childhood. But in recent decades, play as we know it has been slowly disappearing. The video I Believe in Play and "Play Matters: Giving Kids the Childhood They Deserve," presents what parents, educators, sociologists and pediatricians have known for years: kids need a balance of all types of active play to grow into healthy, successful adults. 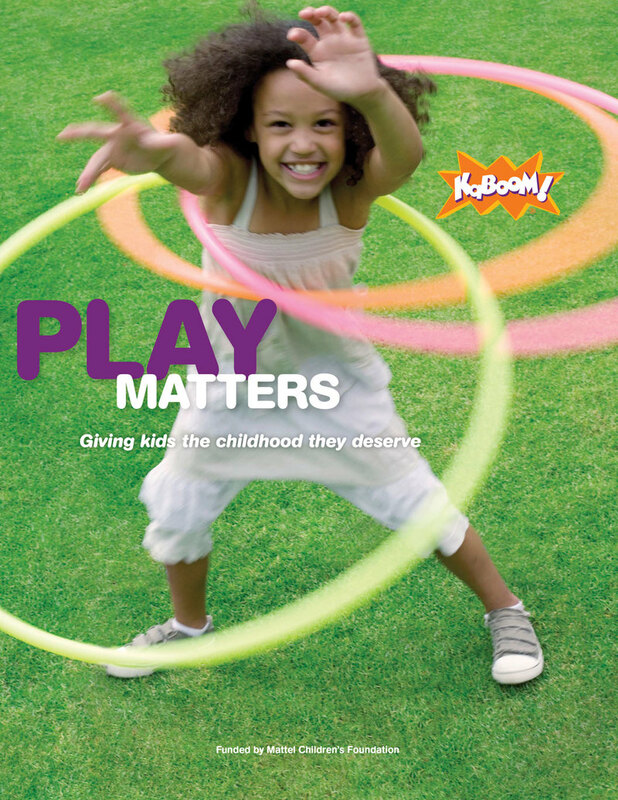 Mattel, Mattel Children's Foundation and KaBOOM!, joined forces to make the case that play matters, producing a major study with children about how to get kids playing more, a compelling summary of existing research about play's benefits, and accompanying videos that we hope will inspire others to act. The Play Everywhere video and accompanying Play Everywhere publication are an initial look at what we heard directly from kids. Most importantly, kids want to be challenged, to use their imaginations, and have the opportunity to bond with their friends. While KaBOOM! helps communities build playgrounds in a matter of weeks, the impact goes above and beyond a healthy play space for kids. A new Knight Foundation report finds that the projects help volunteers and local organizations cultivate the skills, confidence and inspiration to get more involved in their communities. KaBOOM! : Playgrounds that Build Communities, the first in-depth evaluation on the organization, provides lessons for groups seeking to engage volunteers in community change efforts. KaBOOM! 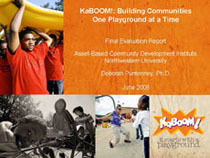 engaged the Asset-Based Community Development Institute (ABCD) of Northwestern University to conduct an evaluation of its Community Build process and the impact the projects are having on local neighborhoods.